The TEC Welding Products Company, established in 1955, is the oldest independent TIG torch maker. Its reputation for high quality innovative products is known and respected around the world. 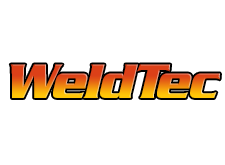 The WeldTec line of TIG torches, consumables, and accessories are sold by welding and industrial supply distributors everywhere. Weldtec 22-2B Shaft Assembly 14"
Weldtec Champagne Nozzle II Super Size Tig Nozzle 3/32"